A Resourceful Home .com: Monday Menu Plan - Freezer Contents! I think I can, I think I can, I think I can . . . I will defrost the freezer! Eve was distressed last week when I made the meal plan myself. She was my kitchen helper and did not want to be left out! So this week I consulted with both Eve and Naomi to come up with this week's menu plan. This consisted of us all standing in front of the open freezer in the garage and pointing at things to make. Naomi rejected almost everything and I vetoed her rejections in favor of the meal plan I need to empty the freezer. But they feel included so mommy points there. 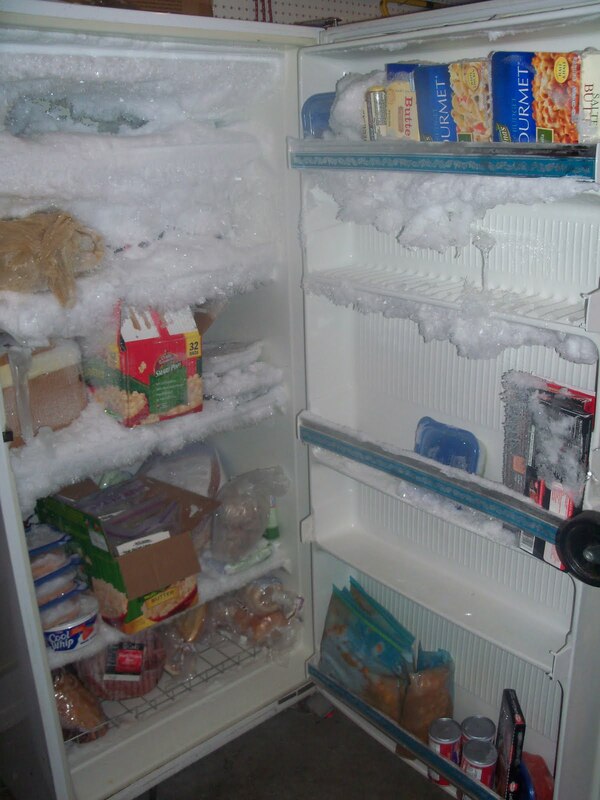 Here's a photo of the freezer: Clearly I need to defrost! Those boxes have my freezer meals for next week's swap in them, there are two hams and several packages of bagels & english muffins on the bottom shelf. There is a turkey, several packages of sausage & bacon, some microwave meals for DH lunches when we don't have leftovers, major chopped tomatoes from last year's garden, lots of butter, and 5 peach pie fillings. And lots of other stuff. My goal is to give the larger items priority because I have a better chance of packing the small stuff into the inside freezer.